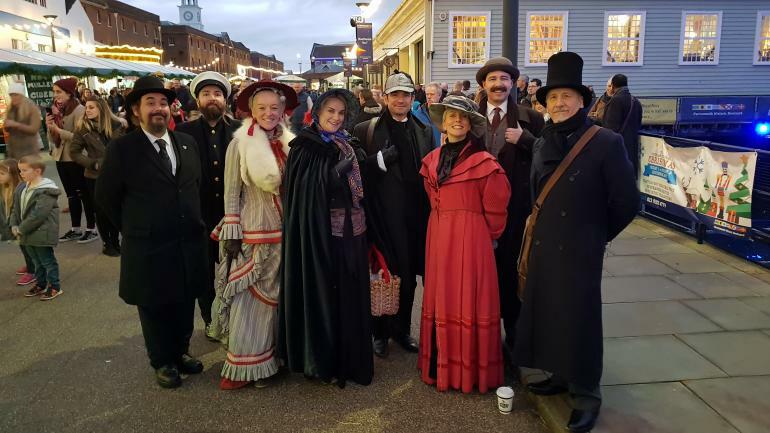 ​Sherlock Holmes was recruiting Irregulars on the streets of the Dockyard thanks to Torchlight Mysteries this year. Six suspects were responsible for stealing one of the Orders of Chivalry and it was the ‘Irregulars’ responsibility to find out what happened. 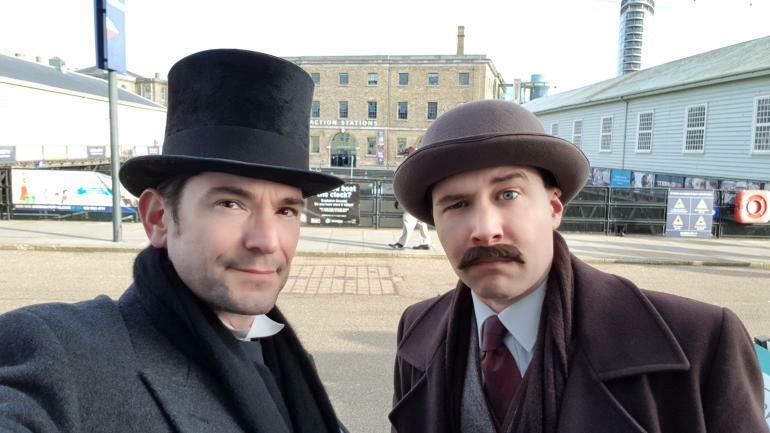 Luckily Holmes and Watson were on hand to point out where everyone was going wrong. Hundreds of people signed up and played during the three day festival. The site-wide immersive mystery was commissioned by the Dockyard to encourage people to explore the entire site. Live action actors and online tools allowed players to get into the heart of the action, searching the stalls and markets for our suspects. Once they collected all the information and made their conclusions they could find Holmes and Watson to confirm their deductions. Feedback was excellent with many parents saying it was the entire focus of their visit while their children dragged them around the site looking for suspects. Definitely the children were asking the hardest questions to our suspects!